The studio is located near Lonsdale, Minnesota. We are centrally located between Montgomery, New Prague, Northfield and Faribault. We are also within 20-30 minutes from Jordan, Owatonna, Burnsville, Lakeville, Apple Valley and Prior Lake. In 2013 I was ecstatic to move out of the basement, into this beautiful 1500 square foot studio across the road from our house. It was many years in the making including having to jump through many hoops to finally make my dream a reality! There are so many people I have to thank for this. My family was my biggest supporter! The only thing I regret is that we couldn't have it finished before my dear sweet mother passed away. She was my biggest fan and was so excited for this dream of mine to finally become reality. You can only imagine how many backdrops and props I acquired since 2000. (Most of which I could never find when I needed them) It has been a blessing to finally have the space not only for all of my props and backdrops but having a space large enough to accommodate large groups. We now have a large bathroom/changing room, a viewing area, multiple studio bays, large prop closets along with a large parking lot with everything handicap accessible. Not only do we have numerous setting within the studio but we are located on 50 acres of country paradise. We walk right out the door and we have fields, flower gardens, a creek, a woods, wild flower fields, gravel roads, old barn board buildings and a pond. In fact 98% of the pictures you see in the portfolio albums have been taken right on our property. 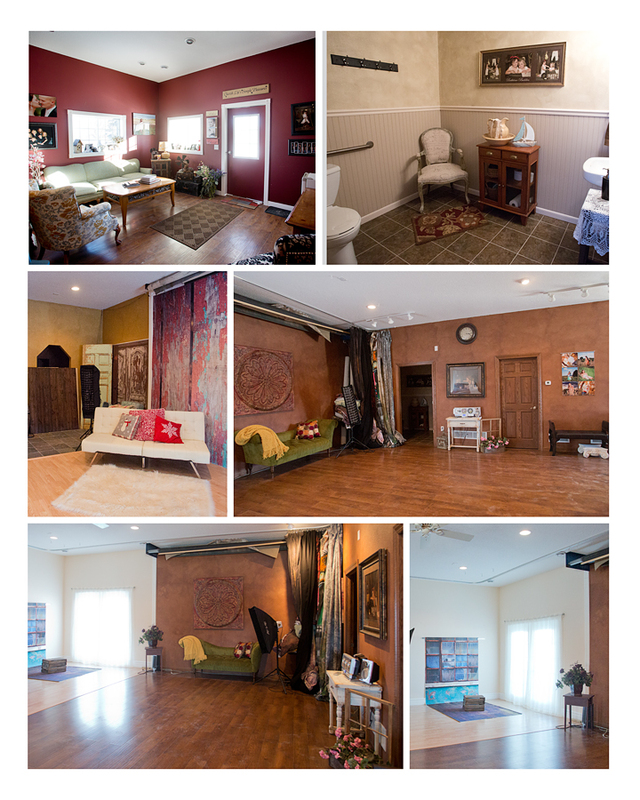 Contact us today to learn more about our studio and to schedule your appointment.